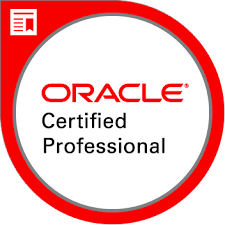 This entry was posted in Java Certification, Java/Java EE and tagged 1Z0-815, 1Z0-816, 1Z0-817, certification, Certified, exam, Java/Java EE, java11, oracle, professional, upgrade by Scott Selikoff. Bookmark the permalink. Hi, Scott, really thank you for this post! Initially, I wanted to take 1Z0-816, as I have OCA Java 8. But after reading this post, I changed my mind, and decided to start from the first exam 1Z0-815. Anyway, it is always good to refresh my Java knowledge, because my OCA exam was in 2016. Like Yuri said, I wanted to go forward with this exam, but I decided to put it a little bit on hold after your post. What advice do you have for those that want to sign-up for this certification in the near future. What extra material do you recommend we study along with your OCA 8 book(and the first half of OCP) in order to pass the exam? I’m not Scott, but I would recommend taking the OCA and OCP 8. It’s *really* hard to study for a cert exam without a study guide. And writing a study guide is hard because there is so much information to discern. If you really want to do this, you are probably going to need read the Java specification in detail, write code, create modules, figure out what tricks are likely to be on the exam and hope for the best. Thanks you for the post, Scott. I was close to take the OCA exam when I discovered these news about the new exams 1Z0-815 and 1Z0-816 and your post was very helpful for me. I’m gonna keep studying with your recommendations in mind and I’ll be looking forward news about Java 11 certification book. Thank you for taking from your precious time to reply and for some great advice. I think that it could take a while before both study guides will be published. This time can be put to good use for Java 8. I’ll go with certs for Java 8 and will do an upgrade when the time is right for 11. Thanks for the blog-post, its very informative. I recently cleared OCA 1Z0-808 and want to appear for OCP 1Z0-816 and looking for study material and test series. Please suggest if any. Hi Scott! Thank you for taking some of your time writing this neat review about the 1Z0-815 exam! I was in the process of getting my certification for Java 8 1Z0-808 in the next coming months. Since this new exam just came out, would you recommend sticking to getting my 1Z0-808 and then upgrading or just jump in to the new 1Z0-815? I notice the release date is Feb 2020 and am guessing this means there is no formal date set yet and you’re still in the process of putting the book together. Do you have an idea of a realistic publication date? Thanks. We have a draft schedule with the book publisher. I think that date is a worst case scenario. But realistic would only be a few months earlier. Note that the OCP 11 Part 1 is significantly different than the OCA 8. So there’s a lot of rewriting we are doing. Which means if you are looking to take a cert, you should take the Java 8 cert now rather than wait! I recommend taking the OCP 8 so you get certified soon. The OCP 11 is *hard*. And it will be a long time before study guides are available. There aren’t any yet. The exam is too now. I suggest taking the OCP 8 instead. Taking the exam without study material is *hard*!